Delightful to see this elegant Fallow Deer stag wandering the woods at Powderham Castle on a spring evening. I had planned to walk only a couple of minutes further along, before heading home. 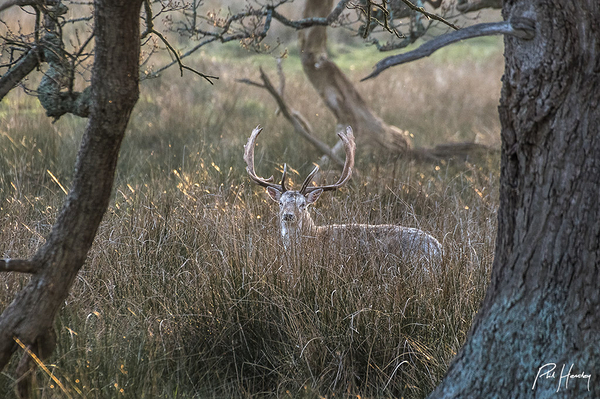 I stopped to get a drink from my bag and out of the corner of my eye I saw a 'ghost' moving through the grasses, I waited a few moments and then saw the stag staring at me, we held our gazes for several minutes before he calmly slinked away, further into the woods.